Every third Sunday in October, the Parco della Maremma Festival has been established for four years, a way to invite citizens to get to know the protected area, and this year we have reached the 4th edition. This year the Festival of the Park will fall on Sunday 21st October and all the residents are invited to the three Municipalities of the Park Community – Grosseto, Orbetello and Magliano in Tuscany – for which the visit on all the itineraries on foot will be free and free. “Le Erbe dei Monaci” is the theme that will be developed along the route to San Rabano by an expert herbalist guide. The departure is scheduled for 9.00 am, at the Visitor Center and the excursion is free for all residents in the three Municipalities of the Park. “Walking with the naturalist” Sounds, colors and scents of one of the most evocative routes of the Maremma Park that winds through garigues and spots to reach one of the most scenic stretches of coast in Tuscany. The guide will illustrate the geology of the area, the vegetation composition and the animal species that frequent the different habitats found along the itinerary. The meeting is at 9.00 am in front of the entrance of the Camping Village of Talamone (the Camping Village in this period is closed). * * Visitors, if they wish, can stay on the itineraries even at the end of the guided tour, so we advise you to bring a packed lunch. Remember that it is mandatory to leave the itineraries by 5.00 pm. 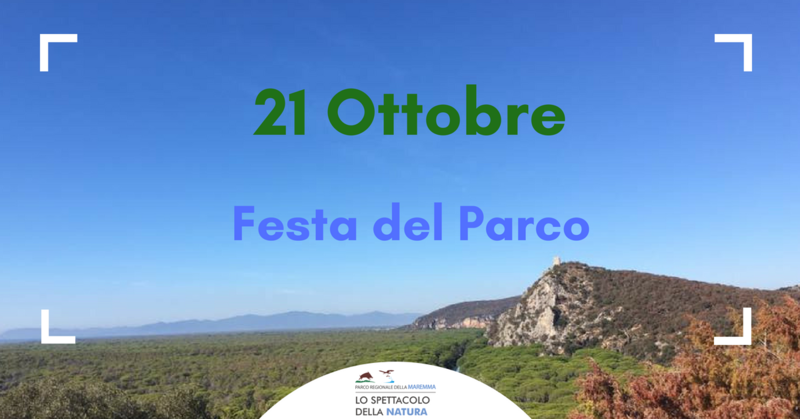 The Festival of the Park, in general, is an opportunity not to be missed to know the historical-naturalistic wonders present in the Maremma Park. To take advantage of this opportunity, simply go to the Visitor Center of Alberese, without reservation and show the identity card that proves the residence in one of the Municipalities of the Park, to get the free ticket for the chosen itinerary or the excursion above described. The Visitor Center is open from 8.30 am to 4 pm until 14 October, after which it will be open until 2 pm. For information, please contact the visitor center at + 39 0564 407098 or at + 39 0564 393238.